A dead body floating by a pier. An elderly woman curled up on a bed in a department store. A psychiatrist searching for her own identity. These are the pieces in the puzzle that, in this fierce novel of psychological suspense, begin to reveal a frightening, but richly detailed picture when Madeline Bemis is referred to the treatment of Dr. Alice Matthews at the once-grand Montrose Psychiatric Hospital. 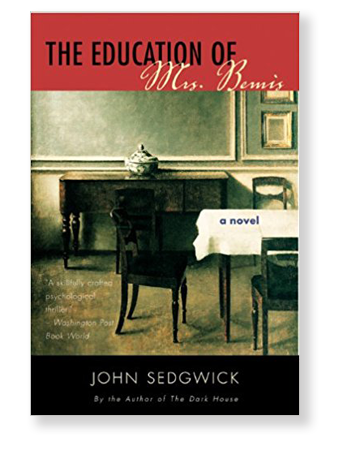 Mrs. Bemis's treatment gradually peels back the layers of a disturbing past whose shameful secrets and hidden sorrows stem from a brief romance in the war years of the 1940s—and reveals an unexpected link to the floating corpse. Mrs. Bemis's awakening sparks an intimacy between the two women that goes beyond an ordinary doctor/patient relationship—but also makes it clear that Mrs. Bemis's recovery, and perhaps even her safety, depends on quickly coming to terms with this secret history. Dramatic TV rights to Hallmark Hall of Fame. Who are they, the strangers you pass, the strangers who pass you, in their cars on the road? Take that dark Nissan in your rearview mirror. Just another pair of headlights on your stretch of highway, you think. Now ask: Who is that driver? Where is he headed? An insurance salesman on his rounds? Or a weary suburbanite going home to his family after a long day at the office? An idle question, no? After all, you and he are just a random pair of commuters whose lives have momentarily converged—right? He's still there—a lone male, late thirties. Rather handsome, actually. And his eyes are on you. And they stay on you. Meet Edward Rolllins, scion of one of Boston's more notable families. Securely yet unhappily employed at one of the city's finest investment houses, he is a man of means—and of secrets. What began as a lark, a way of unwinding, has become for Rollins an obsession. Each night, armed with a hand-held tape record, he randomly picks a car and follow it to a destination, cataloging the habits and peculiarities of its driver, imagining from these details the sort of life that might otherwise have been his. But one night changes everything. 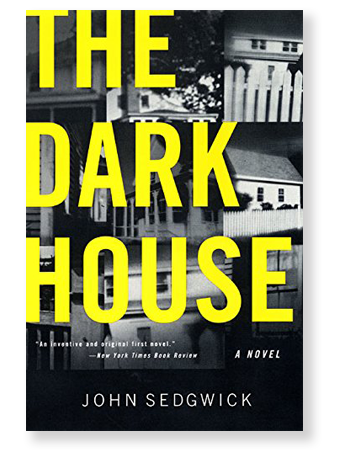 Trailing a car to a remote suburb, Rollins follows it to a darkened house—and into a terrifying decade old mystery involving a vanished heiress, a mystery to which he unwittingly holds the key. In his desperation he turns to Marj Simmons, a young colleague he barely knows. To find the truth, they must unfold the secrets of Rollins' own past—a search that could free him from his own dark house of despair.